Samsung has finally announced the Galaxy S8 Active – the company’s rough and tough take on the original Galaxy S8 flagship smartphone. This Galaxy S8 Active is a rugged variant of the fragile all-glass and metal Samsung Galaxy S8. The smartphone will be available starting August 11 while the pre-orders on AT&T will be open from August 8 in the US. The company claims that this rugged smartphone is every bit ‘built to take a beating’ as the last year’s Galaxy S7 Active and is the most toughest Galaxy phone yet from Samsung. In the process of making the phone tougher, Samsung has ditched the edge-to-edge infinity display and took on a bigger battery for ergonomic reasons. When it comes to the specifications, the Galaxy S8 Active comes with a 5.8-inch Super AMOLED display with a Quad-HD (2560 x 1440 pixels) resolution and retains the Galaxy S8’s 18:5:9 aspect ratio. The display has a Corning Gorilla Glass 5 on top for protection, and it also has the Samsung’s trademark ‘Always-on’ feature. Under the hood, the Samsung Galaxy S8 Active is powered by an octa-core Qualcomm Snapdragon 835 processor, clocked at 2.3GHz and clubbed with Adreno 540 GPU. The chipset is whipped with 4GB of RAM and 64GB of internal memory which can be further expanded up to 256GB via a microSD card slot. On the software front, the smartphone runs the Android Nougat-based TouchWiz UI. In the camera segment, the Galaxy S8 Active sports a primary 12MP camera with f/1.7 aperture, optical image stabilization, and LED flash on the rear along with an 8MP front-facing secondary shooter with autofocus. The device sips juice from a 4,000mAh battery equipped with wireless and fast charging support. 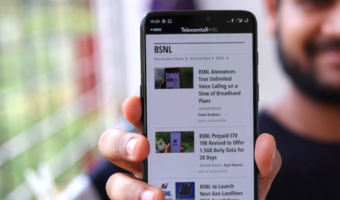 The phone comes with a rough texture on the back for a secure grip, and the side bumpers along with the metal frame help the phone survive accidental drops. 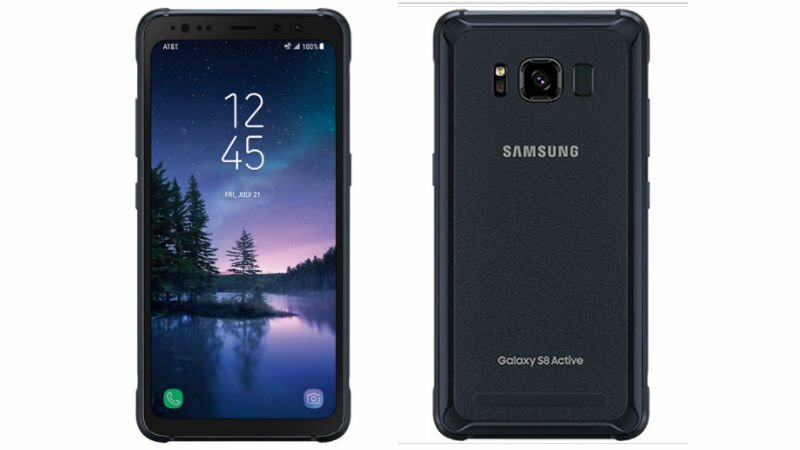 The Samsung Galaxy S8 Active is said to have passed the US Military Standard (MIL-STD) 810G tests for ruggedness and can withstand exposure to extreme temperatures, humidity, and shock, as claimed by the company. Just like the Galaxy S8 and S8+, the Galaxy S8 Active also comes with a dedicated Bixby button. Priced at USD 850 which roughly translates to Rs. 54,270, the handset is available in two colour variants – Meteor Gray and Titanium Gold.